Wellington North is a community with passionate and skilled people that deliver their products and services in a friendly manner… But how to let everyone know about the wide array of businesses available to serve all the needs within its community ? Wellington North Showcase 2016 creates…. a platform for business services, retailers and organizations to make the right connections to create local camaraderie that benefit business and the consumer. In partnership with the Saugeen Economic Development Corporation, TD Canada Trust, Ontario Ministry of Agriculture & Food and Ministry of Rural Affairs, as well as, both the Arthur and Mount Forest Chambers of Commerce, Wellington North Showcase features a Business Networking Reception that will take place at the Arthur Community Centre on Monday, March 21st from 5pm – 8pm, where local businesses and community leaders are encouraged to attend this valuable networking opportunity. The main feature is the Trade Show that opens the doors to the public on Tuesday, March 22nd from 1:00pm – 8:00pm, a showcase of displays and products from local businesses and organizations. This event is FREE for the public to attend! Non-perishable Donations to the Arthur Food Bank are accepted in lieu at the door. 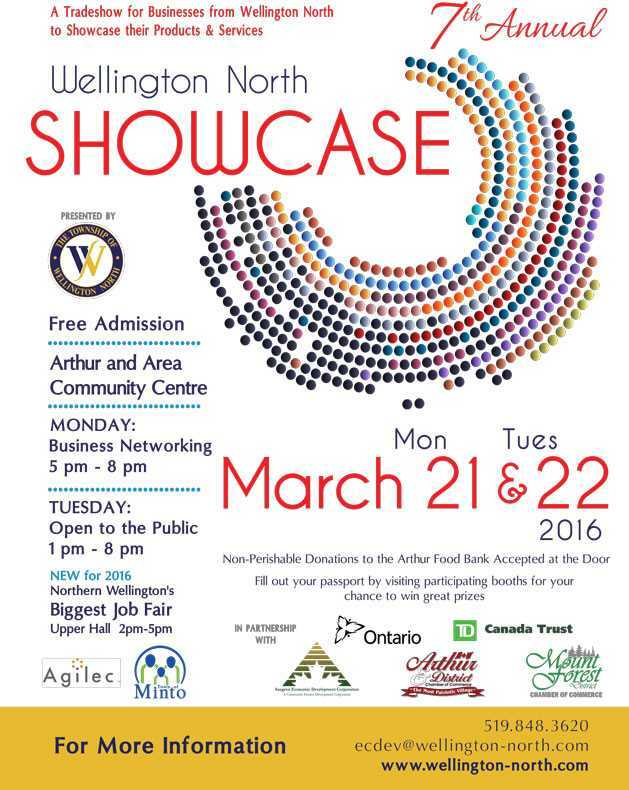 New for 2016, partnering with Agilec and the Town of Minto, Wellington North Showcase will bring you Northern Wellington’s Biggest Job Fair! 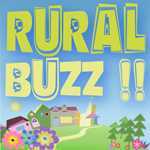 It will run in the Upper Hall of the Arthur Community Centre on Tuesday, March 22nd from 2pm – 5pm. The Job Fair will feature an array of area employers looking to hire now! Visitors will also want to ensure that they fill out their passport by visiting booths for their chance to win great prizes from participating vendors!